At the very outset, one must come clean about the hype that surrounds a film like Manto. 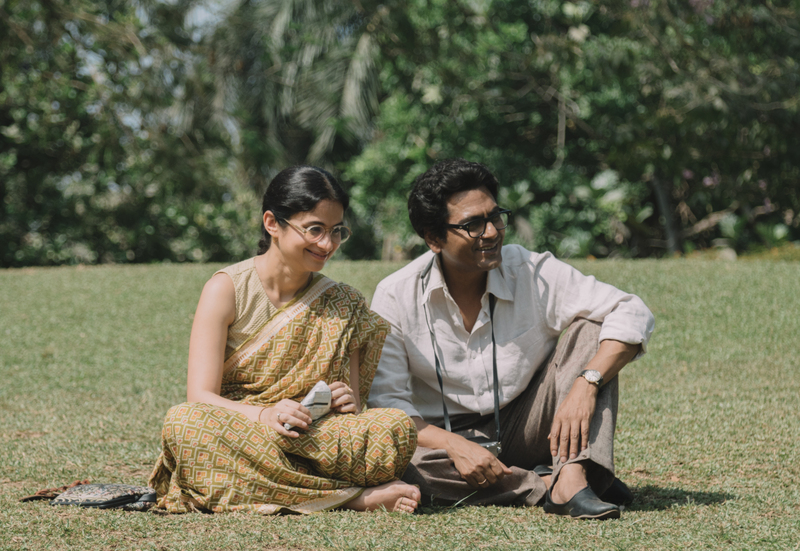 It’s been a film in making for a while, directed by one of India’s foremost actors and filmmakers, Nandita Das. The eponymous subject of the biography, Sa’adat Hasan Manto, again, has been one of the most honest and brutal chroniclers of the 1947 India-Pakistan Partition: obviously one of the biggest historical junctures in the history of the country. His short stories chronicled the sexual, emotional and psychological trauma that the Partition caused; a trauma that he himself grappled with as he, a Muslim, felt the pressure to move to Pakistan, leaving behind the city of his love and life, Bombay. One of the most progressive writers the country has ever produced, Manto is a favourite with Indian liberals which makes the release of the film especially well-timed, given the failing state of democracy and rising censorship in India. Das’ films always emerge at extremely specific political junctures in India: while her earlier film Firaaq (2008) was set in the Gujarat communal riots of 2002, Manto emerges at a time when the freedom of liberal expression is gradually diminishing in the world’s largest “democracy” amidst an ever-growing, government-fuelled anti-Islamic sentiment. By choosing to focus on the last decade of Manto’s life, Das makes a conscious choice to highlight the several obscenity trials that Manto and his writings were made to suffer, and the emotional trauma of the Partition, thereby issuing almost a caveat against India (and Pakistan) repeating its seven-decades-old mistakes. 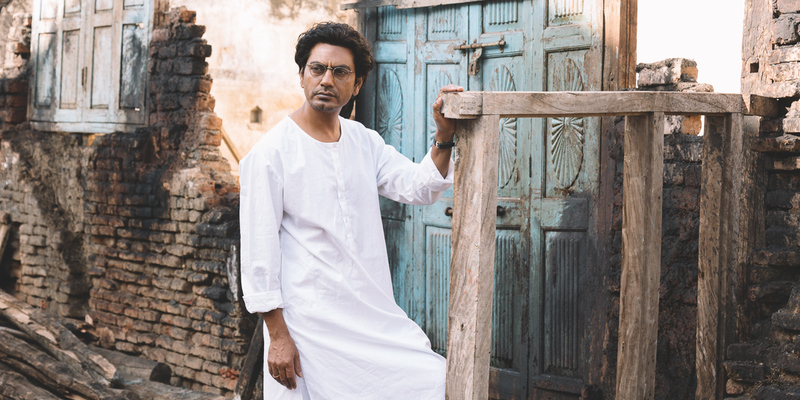 When one watches Manto, with Nawazuddin Siddiqui playing the subject protagonist, it is not so much of a biography as much as it is a celebration of Manto’s life and the ideals with which he lived and wrote his stories, it is a celebration of Mantoiyat — the fearless, the humorous, the political “Manto-ness” that Das sees the need to resurrect today. It is a film that is not without its flaws, especially when it comes to its pacing, but it is a film that has been made with a lot of heart, research and dedication; in resurrecting Manto’s legacy, Das reminds India of a hero whose message and activism the country should adapt to stand against growing State-sanctioned repressions. In no way is Das’ Manto a flawless God as most subjects of biopics usually are; he struggles to make ends meet for his family through his career as a Bollywood screenwriter and author, he is unable to process the trauma of Partition or his dislocation from his beloved Bombay and by the end of his life, his depression and self-doubt drive him to acute alcoholism which finally claimed his life when he was just 43. He had an ego that wouldn’t let him seek help, and an absolute lack of patience with editors who were unable to accommodate his whims and indisciplines. Manto highlights all of these but instead of accusing a man of being an alcoholic and perhaps an irresponsible family man, it delves deeper into the society’s latent problems and biases that push a brilliant and sensitive man to so much despair that he loses sight of his responsibilities and duties. 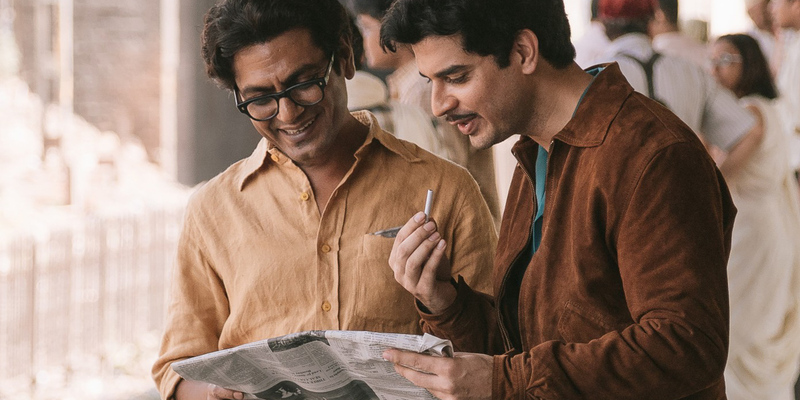 It looks into the way communal hatred seeps through people’s psyches and estrange best friends and comrades like Manto and his favourite actor-friend Shyam Chaddha (Tahir Raj Bhasin). In making Manto, Das also resurrects the legacy of Safiya Manto (Rasika Duggal), Manto’s first reader and critic, foremost editor, collaborator, and wife. Hers is an important legacy that has been seldom written about. Manto’s life is so full of controversies and accolades that it’s sometimes easy to write out the presence of a family that held him anchored through the country’s worst political uproars. Since such little has been written and preserved about Safiya, Das reconstructs the character through stories narrated and remembered by the members of the Manto family, mostly their daughters. She goes on to insist that if there were no Safiya, there would perhaps be no Manto. As a partner who demanded very little out of the man she was married to, Safiya was perhaps the reason Manto was able to write as much as he did, to say as much as he did. At the cost of her own and her family’s suffering, she never stopped him from writing or pushed him to find a stable career. Manto, on his part, valued her criticism and judgement on the things that he wrote, and was known to iron her saris, look after their children and on always insisting on her company at social parties, recitals and ceremonies. Theirs is a love and camaraderie that was founded on mutual respect and a love that transcended the ever-present financial crises the family forever battled. In recreating the legacy of Safiya Manto, Das resurrects one integral part of Mantoiyat: the love and companionship that made Manto whole, the family that finally made him check himself into a rehabilitation centre. In one of the most endearing scenes in Manto, the Mantos sit in a park discussing how Safiya gets rid of her upper lip hair. It soon transcends into a story spinning session where both Sa’adat and Safiya sit looking at a couple and spin a story about them and the woman’s fabled upper lip hair. Through this one scene, and more, Das insists on not just recreating a history where Sa’adat Hassan Manto is seen as a man who, in spite of his weaknesses, tried his best to be a good husband and father, but also insists on claiming a large chunk of that history for the woman who never left his side through all his trials. In stylistically incorporating storylines from Manto’s many short stories into the narrative, Das blurs the lines between the artist and his art. Manto the man is never divorced from Manto the writer, and by stressing on this, she perhaps leaves a comment on the general media discourse around us that often insists on pardoning the public acts of an artist (mostly male), based on what he or she maybe in their personal lives. For Das and Manto, there is no distinction; neither between art and the artist nor between art and activism. One must remember that Manto, like thousands of people today, was employed by the world’s largest film industry — the Hindi film industry or what is best known as Bollywood. In resurrecting Mantoiyat and Manto, Das is also constructing an alternative history for this industry and its activism. As a working member of this industry, this is perhaps the history she aligns herself with rather than its extremely abusive and exploitative history. Manto is a difficult film to watch if one is not familiar with Manto’s oeuvre, but there really has been no better time to read him. It is definitely not Das’ responsibility to educate the audience on his stories before proceeding to direct a film on him. 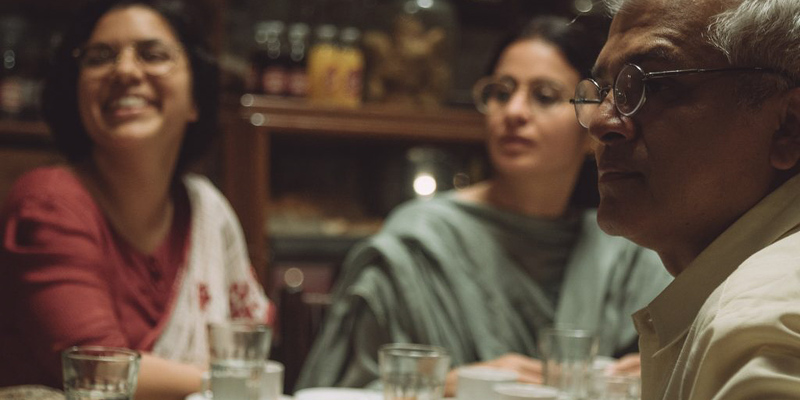 What she feels the need to resurrect is Manto’s activism, politics, fearlessness and his very fragile and human sensitivity and she does that beautifully and with a courage that befits her film’s subject.